Whether you're a golfer, fly fisherman, chef or wine connoisseur, this gracious home will meet your every need. 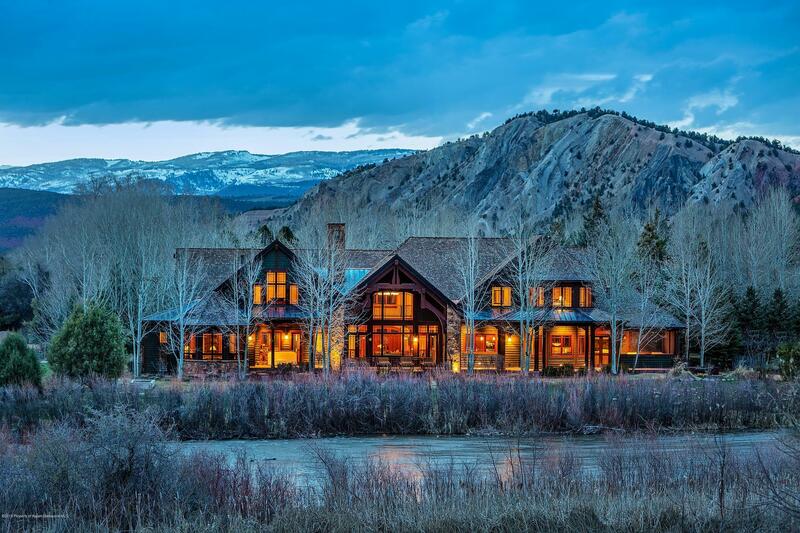 The stunning great room welcomes you with views of the Roaring Fork River and Mt. Sopris. Chefs and caterers will be inspired by the spacious kitchen. A refrigerated wine room complements the adjacent dining room. Curl up with a favorite book in the library. The first-floor master bedroom has direct access to the spa. A large screened porch offers outdoor dining, visiting or just listening to the river. Two executive offices will keep you in touch with the world, if you choose. An upstairs guest wing has 2 bedrooms, a family room, an exercise room and a large ''secret room'' for kids or games. Take the virtual tour of your new home in beautiful, friendly Aspen Glen.